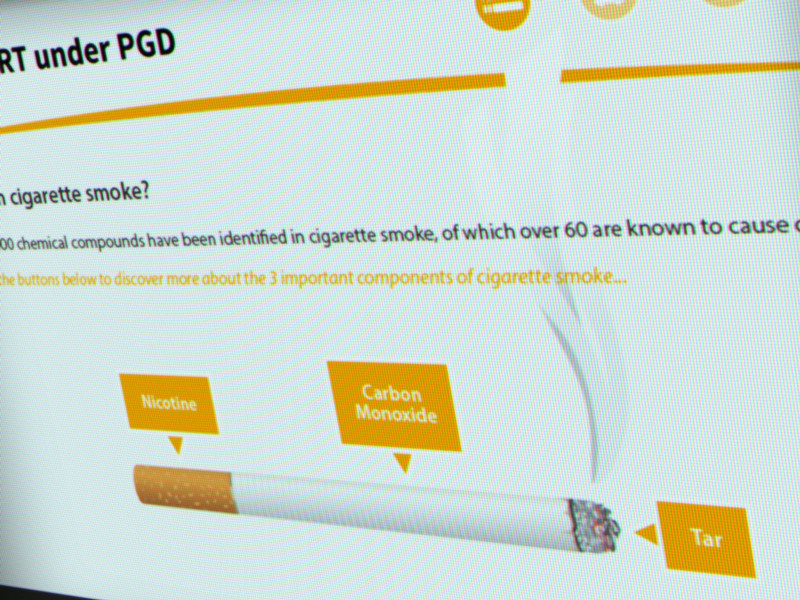 Designed both as an online training programme and ongoing work-based resource, this course provides an overview of UK smoking statistics and the benefits of stopping, delivers in depth information on the NRT products currently available, follows the client journey and outlines any guidance on associated administration. The programme features an interactive product gallery, encouraging the user to learn more about each product, including: dosage, side effects and method of administration. 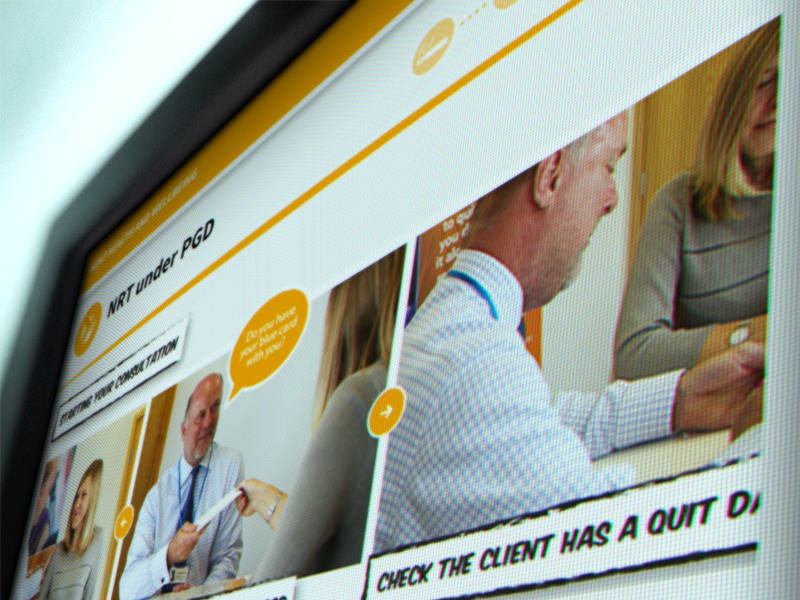 As well as providing advice on the how to stop smoking, it also delivers a clear client-pharmacist journey, in the form of an interactive storyboard, demonstrating the procedures and consultation style. 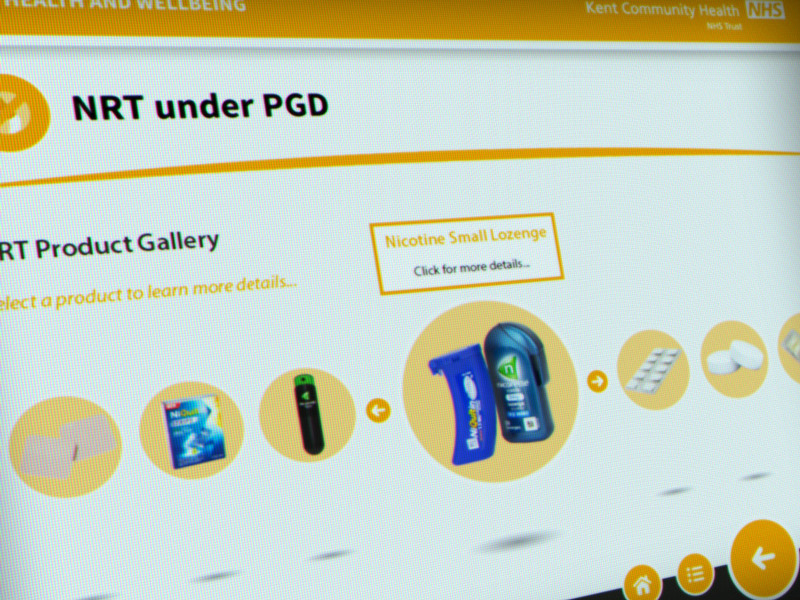 Although designed for the Kent Stop Smoking Service, this course has the ability to be tweaked for other regions. If you are interested in something similar for the staff in your local service, please do not hesitate to get in touch.